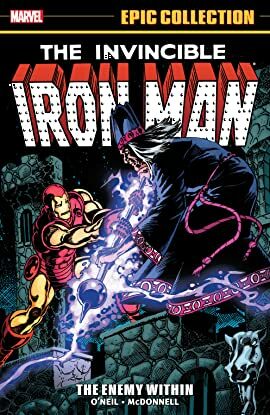 Collects Iron Man (1968) #158-177 and Annual #5. Things are looking grim for Tony Stark. 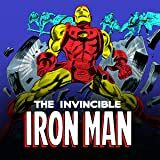 A string of battles with Diablo, the Serpent Squad and AIM have worn him out - and when rival industrialist Obadiah Stane targets Stark International for a very hostile takeover, the urge to crawl back into the bottle becomes overwhelming. With Tony in no condition to defend his company, his most loyal friend must step up to bat. That's right: Jim Rhodes takes over as Iron Man! But Rhodey had better figure out how to use Tony's armor fast - because Stane, Magma, Thunderball, Firebrand and more aren't going to give him time to learn the ropes! And while Rhodey endures his trial by fire, can Tony stop his self-destructive spiral before it's too late? Guest-starring Captain America, Moon Knight, Black Panther, Machine Man and Nick Fury!